“We’ve lost the habit of people coming here to shop at Whole Foods. That was maybe 300 to 500 people a day. It had become part of the weekly routine to be in Glover Park. We lost that foot traffic.” Those are the words of Justine Bernard, owner of Element Fitness. Bernard was describing the economic impact of Whole Food’s closure in the Glover Park section of Washington, D.C. 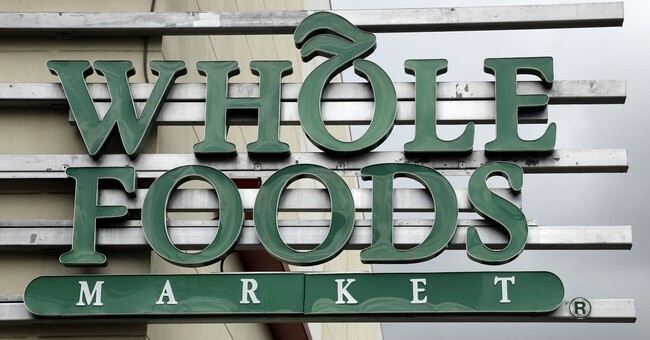 Thanks to an ongoing legal tussle between the landlord and Whole Foods, one of the grocer’s most prominent D.C. locations has been closed for over 18 months. Crucial here is what all this tells us about the importance of big businesses versus small, not to mention what it says about how important the unequal are to the betterment of us all. Up front, Whole Foods’ existence as a vibrant, well-traveled grocery store in Glover Park played a major role in the vibrancy of other, much smaller businesses in the area. While it’s popular on the left and right to suggest that “small businesses are the backbone of the U.S. economy,” such a view isn’t a serious one. Implicit in it is that the most dynamic economy in the world is made that way by the average. Back to reality, the vitality of small businesses is an effect of big businesses. More specifically, small businesses are frequently able to achieve profitability by virtue of them clustering around the big. Applied to Silicon Valley, the economic impact of corporations like Apple, Google and Facebook cannot be limited to the number of workers in the employ of each in northern California. The better way to understand their economic value is for readers to consider the countless businesses that populate around these commercial behemoths. Cal-Berkeley economist Enrico Moretti wrote about the latter phenomenon at length in his 2012 book, The New Geography of Jobs. What Moretti described explains what’s happening in presently limping Glover Park. When Whole Foods was open for business, small businesses that were a fraction of its size benefited as though they were part of the multi-billion dollar corporation. Wildly popular with a rather well-heeled demographic, the existence of Whole Foods meant that businesses lacking its reach and name recognition were exposed to consumers who otherwise would have no way of knowing about them. Small businesses aren’t the “backbone” of the U.S. economy as much as their ability to serve a growing customer base is a certain effect of the big. All of this runs counter to the popular view that big businesses gain their market share to the detriment of the small. Indeed, if the above were true then it would also be true that the businesses surrounding Whole Foods would suddenly be experiencing a renaissance. Except that they’re not. As the quote that begins this piece reveals rather clearly, there are quite a bit fewer customers for Glover Park-based businesses to capture now thanks to Whole Foods not operating in the area. Customers that once might have stopped at Whole Foods, and parked their cars in the the store's parking garage only to patronize other businesses around the popular grocer, no longer have as much reason to stop in Glover Park to begin with. Certain people elevate us, and so by extension do certain businesses elevate us. The above looms as an inconvenient truth for the social justice warriors who want us to believe that rich people and rich, big businesses suffocate opportunity for those that aren’t. More realistically, the world’s poorest have long been risking their lives to get to the highly unequal United States precisely because opportunity is greatest where the very rich are. Small business owners understand what the poor do: the path to growth is often paved by large, established businesses that are a magnet for customers looking to open their wallets. Bernard sees all of this very clearly. She told the Glover Park Gazette that “I’ve had clients who would go to Whole Foods, then come to take a class at Elements. Now, they go somewhere else.” As Whole Foods goes, so goes Glover Park? Yes indeed. The previous truth is yet another reminder that those eager to shrink the gap between the rich and poor, and by extension big and small in business, might be careful what they wish for. Better yet, they might ask businesses in Glover Park what sales were like before Whole Foods’ closure, and after. What they’ll find out might open their eyes. Hard as it is may be for some to be exposed to the often brutal truth, much more brutal is life without the unequal individuals and businesses that drive progress and opportunity for us all.